LONG BEACH, CA (Laserfiche)—November 4, 2009—Laserfiche today announced that its Empower 2010 international conference will be held January 11-13 at the Hilton LAX in Los Angeles, CA. 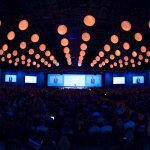 The conference, which attracts Laserfiche customers, resellers, partners and ACE members from around the world, will give attendees fresh insight into how to maximize operational efficiency with Agile enterprise content management (ECM). The conference will offer three full days of more than 60 technical training labs and comprehensive classes, including a number of courses offered as part of the new Laserfiche Certified Professional Program. More information about the new certification program will be available soon. “Every year we try to improve the conference and offer a more personalized experience to attendees. This year we’ve expanded all of the tracks, added more best practices courses and made it easier for attendees to tailor their schedules to meet their needs,” said Laserfiche Institute Director Jereb Cheatham. 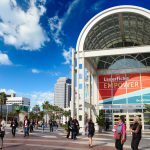 Close to a thousand members of the Laserfiche community are expected to attend Empower 2010, and the deadline for early registration is fast approaching. Learn more today at https://www.laserfiche.com/conference. Laserfiche® creates simple and elegant enterprise content management (ECM) solutions that help organizations run smarter. 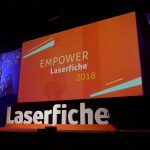 Since 1987, more than 27,000 organizations worldwide have used Laserfiche software to streamline document, records and business process management.